Do you need an ugly Christmas sweater for the holidays? 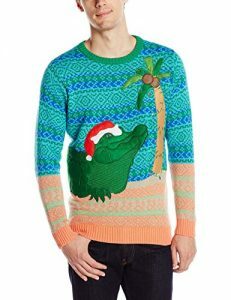 On Amazon right now you can get this funny Blizzard Bay Men’s Holiday Gator Ugly Christmas Sweater, Blue/Orange/Green, Large for just $14.03 – a 53% savings! This will ship free with Amazon Prime or qualifies for free Super Saver Shipping with a $25 purchase.